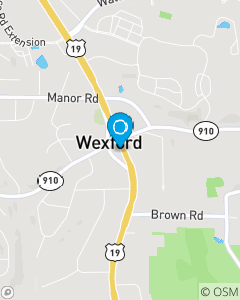 Where Route 910 crosses under route 19 just a few seconds North of the Flats in Wexford!! The Piotrowski State Farm Team is the premier insurance and financial services destination for the residents of the Wexford, Franklin Park, Cranberry Township, Bradford Woods, Marshall, Mars and all other areas of Northern Allegheny County and Southern Butler County, Pennsylvania. We will accomplish this status through unwavering commitment to always doing what is in the best interest of the customer and providing unmatched service and support to all of their needs.